Tips on Reducing Medical Debt to Avoid Bankruptcy (Part 2) - Castle Rock Bankruptcy Attorney - Jon B. Clarke, P.C. Trying to negotiate with medical billing offices or working with a debt relief professional are effective ways of reducing medical debt to avoid bankruptcy. As a continuation of Tips on Reducing Medical Debt to Avoid Bankruptcy (Part 1), the following is some additional advice regarding what you can do to minimize the amount of medical debt you accumulate while still obtaining the medical care you need. Compare treatment costs against Medicare rates – According to a recent survey on the costs of medical treatments, the government pays approximately 70 percent less for medical services than the general public. Therefore, by comparing the projected cost of medical care with Medicare rates, you can obtain a range for medical care costs that could help you gauge how much “wiggle” room there may be in potentially bloated estimates you receive from hospitals or medical practices. Try to negotiate a lower rate for your treatment – With the Medicare rates in mind, it can be a good idea to try to contact the medical billing office at a hospital or doctor’s office directly to try to negotiate a lower rate for the treatment or care you need. Although you will likely not succeed on your first attempt, the key to this type of negotiation is persistence. Continue calling and possibly even send emails or letters to the medical billing office to see if they can budge at all on your treatment care costs. The effort you invest now in trying to get lower rates for your medical care could save you a significant amount of money in the future. 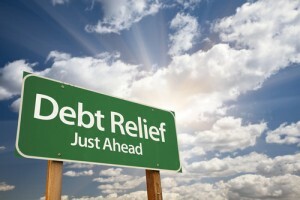 Contact a debt relief professional – While you may be able to take some pre-emptive steps to reduce your medical debt on your own, if you are recovering from a serious injury or a living with an illness, you may not have the energy to invest in trying to reduce your medical debt. In such cases or in the event that you are already buried in a massive amount of medical debt, it’s a good idea to contact a debt relief professional who can be your advocate. Debt relief professionals are skilled negotiators who know how to deal with the people who work at medical billing offices, as well as with other creditors who may be pestering you for payment.